Ladybug the Clown is an award winning face painter and specializes in turning the ordinary into the extraordinary! Have you ever wondered what it would be like to be a fairy princess, a monster or a tiger? Well, face painting can help you create that new character. Adults as well as teenagers enjoy having their faces painted; it is entertainment for the whole family. UNIQUE & NEW! The Balloon Extravaganza Show This show is a high energy show with Magic using balloons, balloon games and finally everyone leaving with their own balloon creation. From beginning to end this show is unique, using new magic props, crazy skills and creating lots of laughter, cheers and memories. 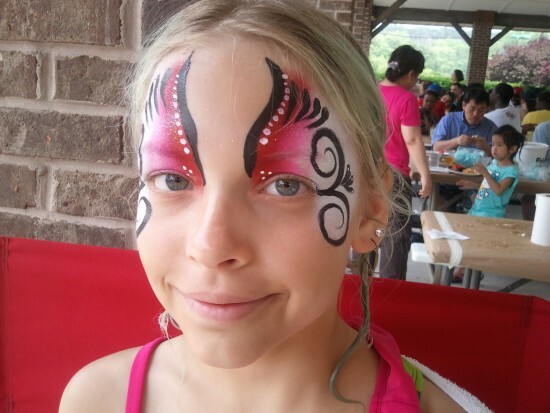 Ladybug is an award winning face painter and specializes in turning the ordinary into the extraordinary! Have you ever wondered what it would be like to be an animal, a monster or a fairy princess? Well, face painting can help you create that new character. Just add a little bit of imagination and a lot of laughter to your newly painted face and you are well on your way to having lots of fun. 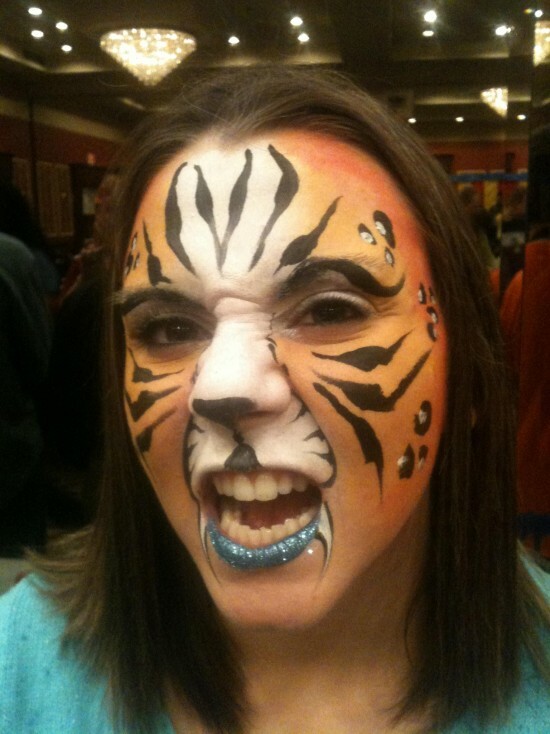 Adults as well as teenagers enjoy having their faces painted; it is entertainment for the whole family. Ladybug uses only premium water based professional face and body paints. All are safety tested, are safe and gentle for use on the skin, and comply with all FDA regulations. Want to add a little extra something to your face painting? How about Crazy hair? We use temporary hair color and crazy embellishments to create a total look for your party guests. Making Fun with Fairy Dust. . . This is where the magic starts to happen. Glitter body art is perfect entertainment for guests of all ages. It is a proven party hit not only for kids and teens but also enjoyed by parents and grandparents. One of the great advantages of glitter tattoos is that it’s waterproof. Guests can have their glitter tattoos and jump in the pool right away. Our glitter tattoos also look great under the sun. Glitter tattoos will surely add fun and sparkle while your guests are enjoying the water with their glistening glitter tattoo. Top notch balloon twisting for all of your parties needs. Ladybug & Trickster are excellent balloon artists who can twist just about anything you can imagine out of balloons. From simple balloon dogs and swords to creative balloon hats and characters; Ladybug & Trickster will add an element of fun to your party while twisting balloons into fantastic creations. Balloon Extravaganza You have never seen a show like this before – Unique and NEW! 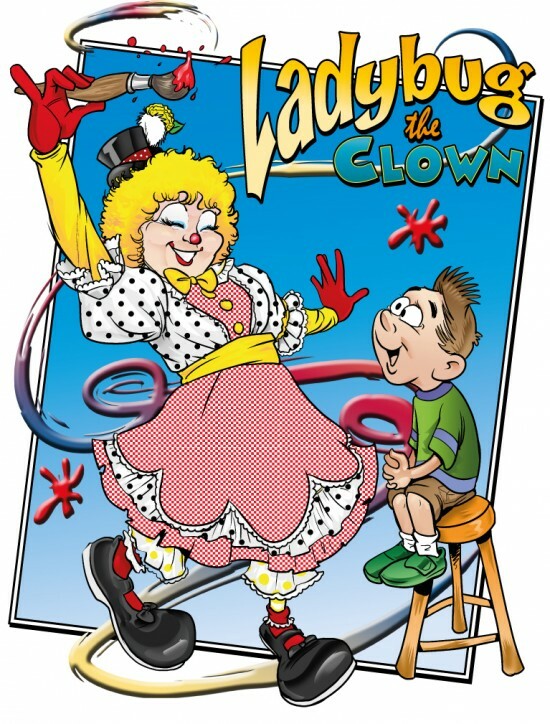 Audiences will laugh, gasp and cheer as Ladybug and Trickster’s unique combination of Balloons and Magic leaves your audience with memories long after your event. This show is a high energy show with Magic using balloons, balloon games and finally finishing up the show with every guest leaving with a balloon creation. From beginning to end this show is unique, using new magic props, crazy skills and getting lots of laughs. Henna Parties are popular with teens and adults. The stain from the henna paste can last from 1 – 3 weeks depending on the location of the tattoo and the care of the tattoo. Henna is an ancient form of body adornment used for thousands of years. All of our henna tattoos are hand applied with only all natural henna. At first the stain will appear an orange color but will darken with 48 hours to its deepest stain. This form of tattoo is recommended for ages 10 and above because of the unique way that it is applied and remains on the skin for at least 2-3 hours for maximum effect. Scott is an award winning entertainer with over 30 years of performing experience. Whether he is performing for adults or children he can accommodate their needs. Your guests will receive professional entertainment highlighted by humor, mystery and audience participation. Strolling Magic The Amazing Scott’s strolling magic is so versatile it can be performed anywhere and at any time. It is a new experience for most to see mind blowing illusions being performed right in their hands. Scott’s skill and sleight of hand along with his sense of humor will make any event magical, close-up and personal. Stage Show Scott’s reputation for “Upbeat Magic” is unprecedented. This can be seen is his stage show. In this show Scott will be performing many effects that will amaze and amuse you! Your audience will be amazed as borrowed objects appear in unusual and impossible locations, objects levitate and our magical bunny Cocoa appears. This is not just another magic show this is a show that uses comedy and lots of audience participation. Watch while Scott and Donna bring their crazy cast of characters to life right before your eyes; doing Magic and Comedy with RK the Possum, Vern the Bird, Abbey Kidabby the Fairy and many other whimsical characters. Puppets are enjoyed by young and old and are a welcome addition to any event. We also have available a roaming puppet stage with any one of your favorite characters. We have a collection of over 20 unusual party games that are sure to create fun and silliness for guests of all ages. These games are for both inside and outside events such as birthday parties and family gatherings. Older children seem to enjoy party games as much as they do cake and ice cream. Adding games to your next event will be sure to make it a big success! When you are responsible for finding entertainment for that special teen or adult event you want to give your guests an experience they will truly enjoy. We use nothing but the most professional and complete airbrush tattoo system, stencils and temporary tattoo ink. Your guests can choose from 100’s of different designs and over 6 colors! The paint we use is 100% safe and FDA approved. These paints are applied using an airbrush gun creating a realistic looking temporary tattoo that is non-smearing and water resistant. The tattoos dry instantly and can last from a couple of days to 2 weeks with proper care. While durable the tattoos remove easily with baby oil or rubbing alcohol.